We tend to think of icons as simple, graphic, stone or wooden objects without much depth or life, left overs from bygone eras. But Bruce Irving, former producer of the popular PBS show This Old House , will have none of that. 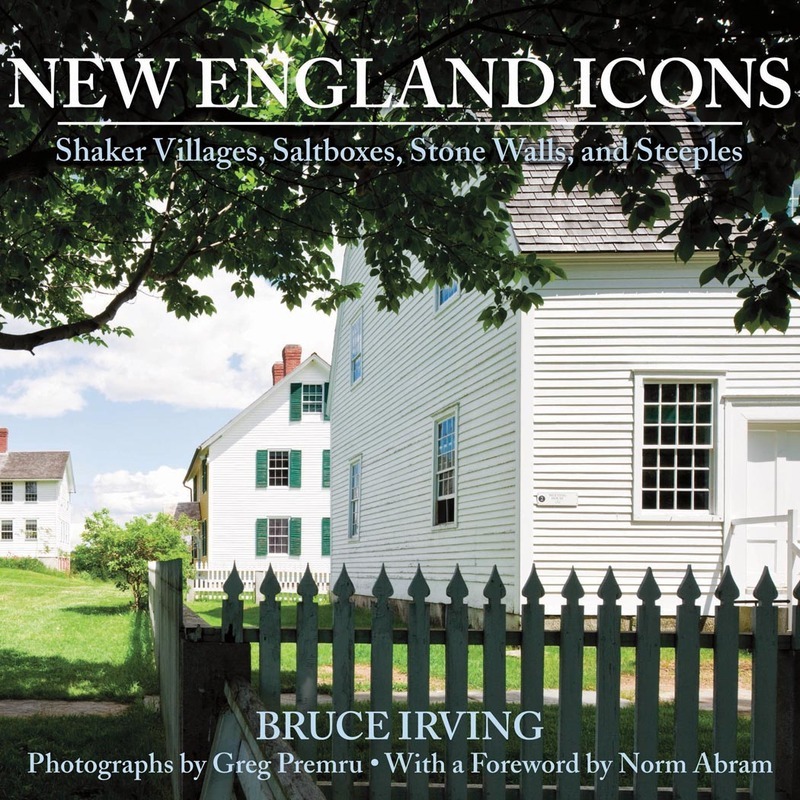 In a collection of short essays, Irving taps into our collective consciousness by extolling the comforting sense of place we associate with such common and not-so-common New England sights as stone walls, village greens, lobster boats, classic ski runs, and garden cemeteries, to name but a few—symbols of enduring importance that are also still full of life and character. Curl up in your favorite chair, relax, and take a tour of our common heritage—or take this insightful cultural guide with you as you travel New England’s highways and byways. It’s sure to shed new light on the old stalwart landscape features you see every day. Bruce Irving produced This Old House for public broadcasting for 17 years before venturing off into his own home-renovation consulting business. He is also a contributor to Design New England magazine, published bimonthly by the Boston Globe. Irving makes his home in Cambridge, MA.